It's been awhile since my last post. Possibly related mostly to my camera malfunctioning. But spring has sprung here in Southern California and Milo, the kids and I have been digging and planting as a regular after-work activity. 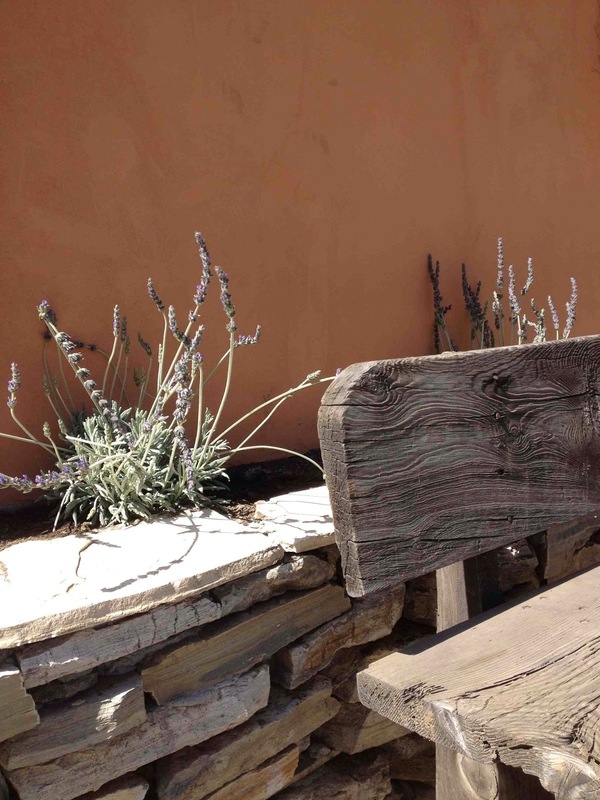 Here you can see a few lavender plants peeking over the old wood bench in the front of our new courtyard wall. 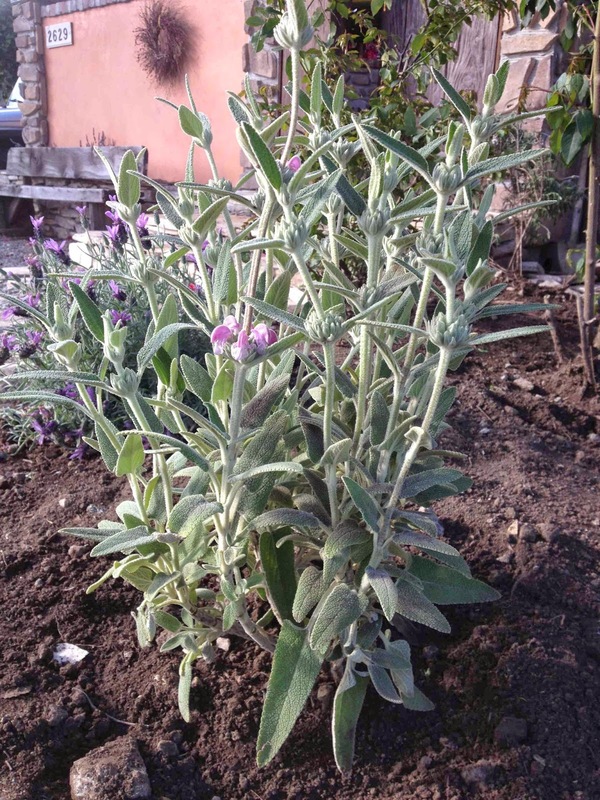 I thought I was going to stay with all French lavender plants until a trip to Home Depot turned up something called Jersusalem sage. It was so lovely with its pinkish purple flowers. 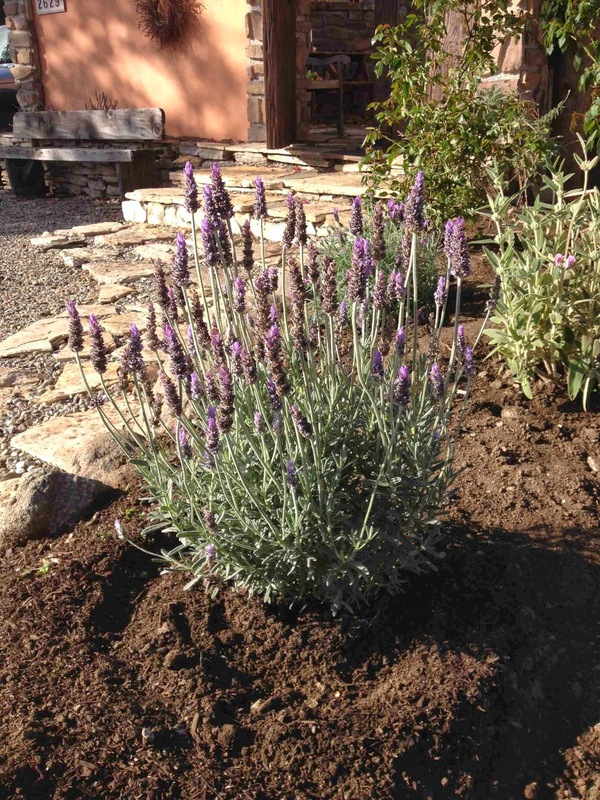 Plus, it's drought tolerant. I had to have it. 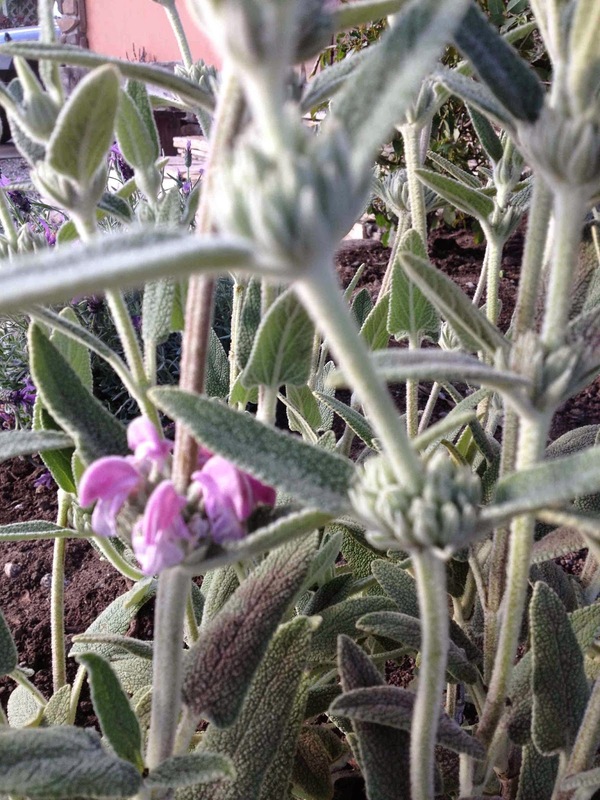 A closer look shows the interesting shape of the flowers and those silvery gray-green leaves. It is native to Italy, so I figured it would work with my Mediterranean design. 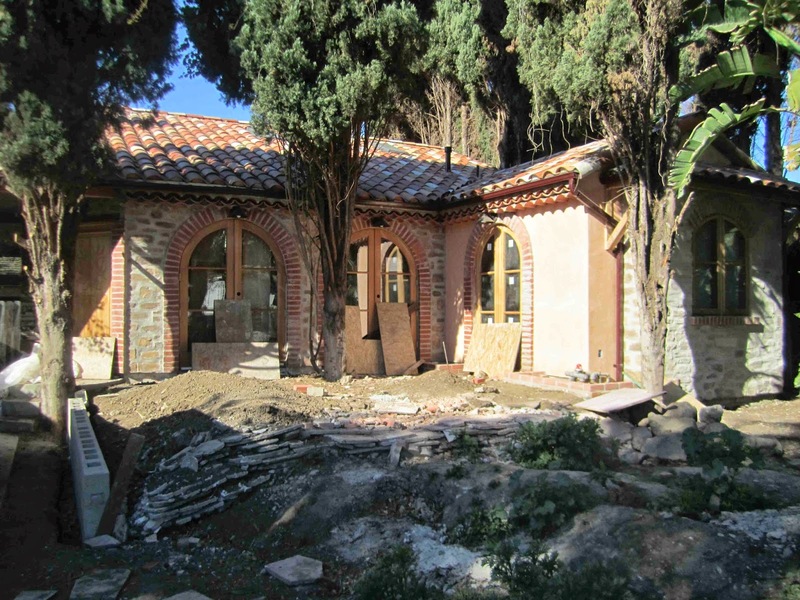 Just a reminder of how things looked during the renovation process. This is well before the courtyard wall went up. Woah. Ah, back to the lavender. 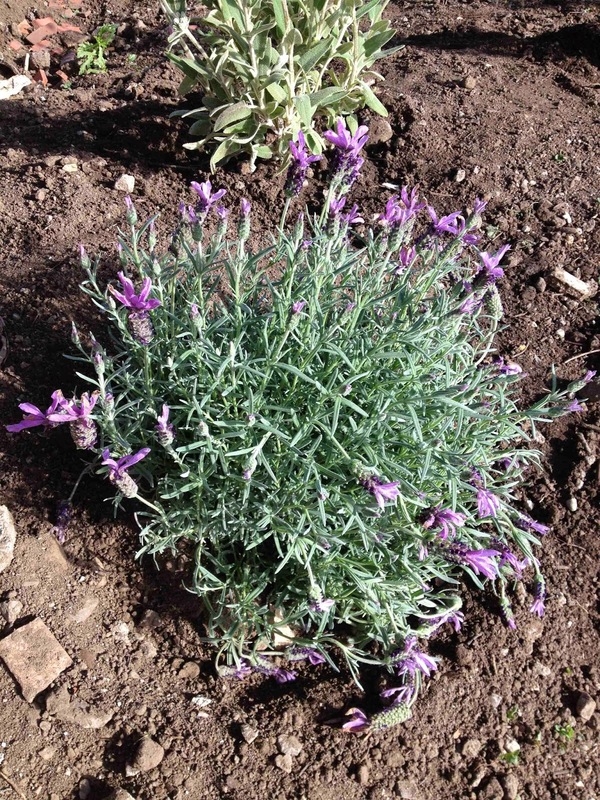 This one is Spanish lavender and has the fuller, thicker flowers. Again, I thought I could stay with French lavender only, but the different types of lavender made it so hard to decide. 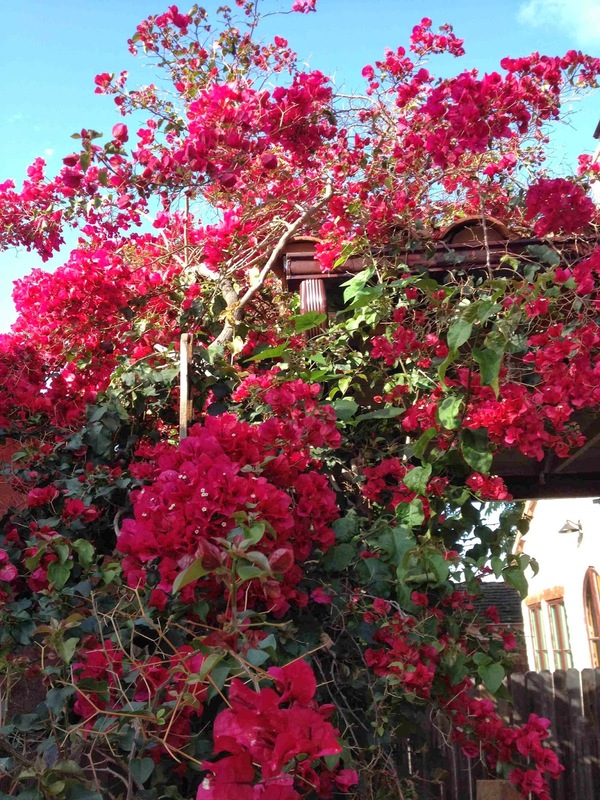 The bougainvillea that grows over the carport is pretty eye-catching all year long. But, it's especially vibrant in the spring. I could say that I really thought through our landscape design, but it has just organically evolved through cause and effect necessity. Plus, anything we are given for free is usually incorporated into the design no matter what. This mound is the result of placing gravel in the front yard. Our neighbor gave us all five wheelbarrows full of his gravel, so that was a score. But it did mean we had to dig out a few inches of the top layer of dirt and well, all that dirt had to go some where. Hence, this berm. 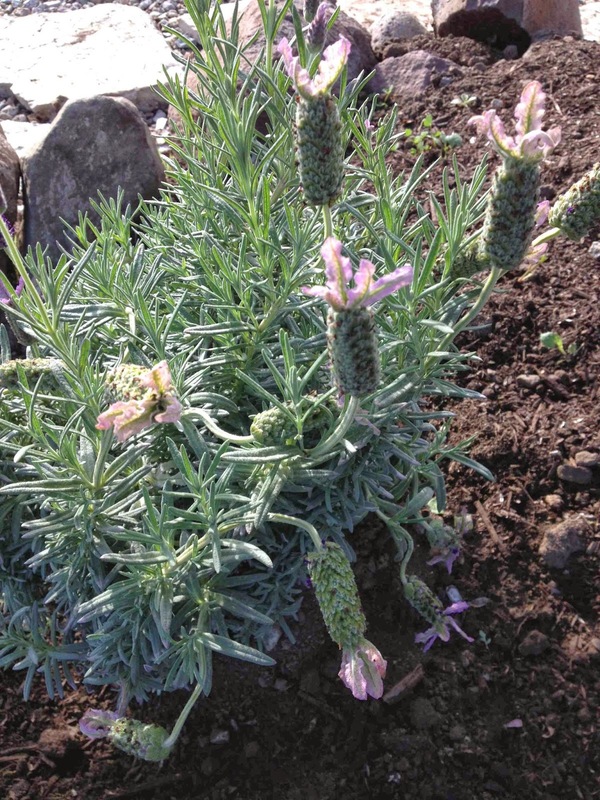 More of that Spanish lavender. I could just look at this stuff all day. 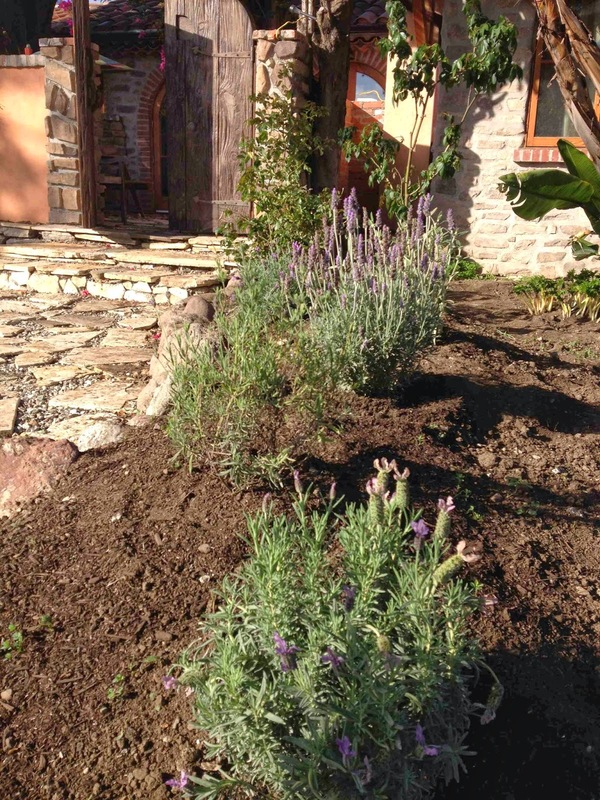 Since this pic was taken: We've mulched this mound, added a few more lavender and sprinkled some alysum seeds where the berm meets the river rocks. Fingers crossed those come up because alysum smells like honey and it's so pretty. We also just planted a fruit salad tree, which I learned is actually five fruits in one tree. We picked the stone fruits—so peaches, nectarine, plum and apricot grow all from one tree. Amazing. Of course, one of the branches was already broken off (please don't be the apricot branch) at the store--so we got a 20% discount. And, then, we broke one of the branches getting the tree into our jeep. So, we're down to three fruits now and we're not even sure which ones. Not sure if that's enough for a fruit salad, but the whole family is eagerly anticipating the fruits' arrival. We really hope our little tree makes it. We've been sending it prayers, love and good thoughts every night before bedtime. And the big rain storm last night may have helped, too.